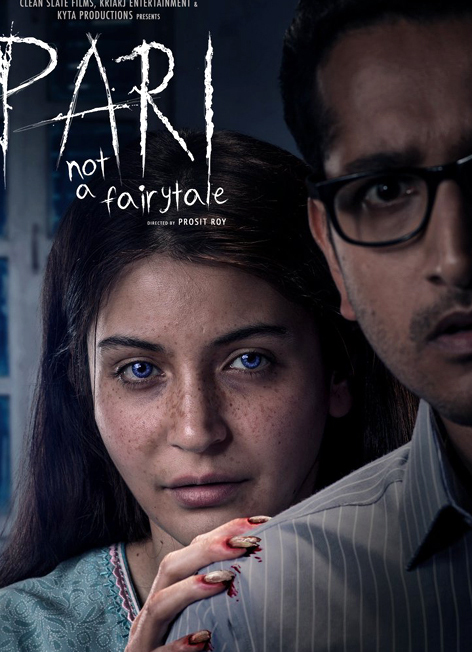 Anushka Sharma and Parambrata Chatterjee are all set to spook us with their latest offering: PARI – NOT A FAIRYTALE. Mysterious title, scary teasers (nay, screamers) and a promising cast urge us to believe that Anushka’s experiment with horror is going to be rather interesting. 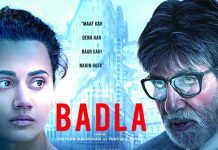 The movie is produced under the actress’s banner Clean Slate Films along with Prerna Arora’s KriArj Entertainment. It is directed by the first time director Prosit Roy who also assisted on the sets of PHILLAURI. We have not seen a really good horror movie since long and so will PARI fit the bracket with its perfectly scary, sleek appeal? Let’s find out. 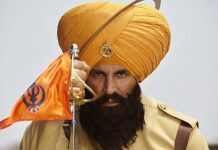 The makers were extremely careful so as to not let any plot details out before the release and hence went easy with their promotions. There is an element of mystery in the story which is NOT let out by its teasers. The film set in Kolkata, is about Rukhsana (Anushka Sharma) who is an orphaned woman. The story builds on the mystery about Rukhsana and we are left perturbed thinking if she is the ghost, or it’s victim? Arnab (Parambrata Chatterjee), a loner, provides shelter to her given that she is distressed and has no one to look out for her. Despite many warnings and family opposition, he develops a liking for her but little does he know that she has an evil, supernatural power. As the story movies forward, we are introduced to more characters. Rajat Kapoor is the spooky, blood thirsty professor in the film, who torments the thoughts of the lead character constantly. He belongs to a controversial exorcists’ group and is hunting down Rukhsana. Arnab is filled with speculation but is enamoured by the wild and vulnerable Rukhsana. 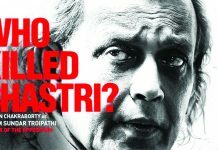 As the movie progresses, Arnab goes through a tumult of emotions and is sucked into this mess. The movie then answers the most vital question: Is Anushka the tormented or the tormentor? And also explains us the title in the process. PARI – NOT A FAIRYTALE overall has a very gloomy palette and works well to create a scary setting. The makers have worked on creating atmospheric horror and are largely successful in doing the same. Prosit Roy and Abhishek Banerjee have a good concept but they fail to write an engaging screenplay. The scenes do create a lot of intrigue but a lot is held back from the audience for too long. Anvita Dutt does a good job with the dialogues, maintaining a much needed restrain. As a horror film, PARI has the right amount of chills and thrills that will spook the viewer. Prosit Roy, who has directed the film, carefully mounts the story, creating a lot of suspense and intrigue about the lead characters in the minds of audiences. However, due to a weak screenplay, the film falls weak at many places. Talking about the performances, Anushka Sharma successfully impresses with her carefully cultivated acting chops. Easily, this is one of her best performances till date. Restrained as the abused victim but completely spooky when required, it’s great how she displays her range as an actor. She is vulnerable at one moment and super scary in other. Her pairing works well with the Bengali sweetheart Parambrata Chatterjee. Param plays his part with a lot of conviction. Together, they create many innocently romantic moments, giving a much needed relief from all the gore in the film. Rajat Kapoor as the exorcist is beyond amazing and the twist in his role will leave you surprised. In the horror genre, the role of a DOP is the most crucial. Jishnu Bhattacharjee does not disappoint us at all. He creates a world which is very creepy and bone-chilling, at the same time but there is a strange beauty, allure and mystique to it. Editing by Manas Mittal is decent. 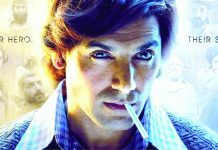 Sunil Rodriques’s action sequences well executed. Anupam Roy’s music and Ketan Sodha’s background score take the plot ahead. But it is the sound effects by Debajit Changmai and team which does the trick to spook the viewer! A special mention to make up artiste Clover Wootton for transforming Anushka into a hollow eyed possessed victim Rukhsana on one hand and creating a totally different bloody, creepy look, a drastic change from her original appearance. The prosthetics and make up done for other characters in the film is also very impressive. Despite quite a few positives, PARI also comes with a baggage of some serious drawbacks. One of the major problems with the film is that it has a very slow pace and a weak first half. Though there are series of events happening in the first half, as an audience, one wonders where exactly is the story going. The answers to all the questions come much later in the second half. The director clearly wanted to build up the suspense but many may not be impressed with that narrative. Another factor is that more than the story of the film, it is the sound effects that do the scaring. In fact the story gets a little predictable towards the climax and even shifts away from the horror genre altogether. But the most risky factor about film is the amount of blood, gore and violence shown in the movie, which may gross out a lot of viewers. The promos of the film were spooky, but not every viewer, excited to watch Anushka Sharma’s experiment with horror, will be prepared to handle the gore scenes. Overall, PARI – NOT A FAIRYTALE has an interesting premise with a fair amount of chills and thrills. However, the weak screenplay and unnecessary blood and gore is off putting. At the box office, the film will appeal to the segment of audiences who enjoy the horror/gore genre of films.